A SUDDEN SILENCE – Bantam F2849, 1964. THE TEMPLE OF GOLD – Bantam H2984, 1965. 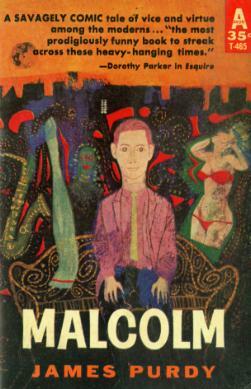 The 5th printing, shown here, was the first to use the new Bama cover. Instant icon. YOUR TURN TO CURTSY, MY TURN TO BOW – Bantam F3021, 1965. The 2nd printing shown here was the first with the new Bama cover. Bantam used James Bama covers for all 3 of the books in Edmund Schiddel’s Bucks County Trilogy. They cropped THE DEVIL IN BUCKS COUNTY, the whole painting can be seen on the back cover. N3199, N3385, Q5590. THE SKI BUM – Bantam S3114, 1966. NEVADA – Bantam S3116, 1966. SOLDIER IN THE RAIN – Bantam S3265, 1966. First Bantam printing. There were two Dell editions before this one. LETTING GO – Bantam N2572. This 1967 3rd printing is the first with a Bama cover. THE POSTMAN ALWAYS RINGS TWICE – Bantam H3294, 1967. THE HARRAD EXPERIMENT – Bantam N3360, 1967. An icon of the free love generation. THE SONS AND THE DAUGHTERS – Bantam N3383, 1967. THE TROJANS – Bantam N3460, 1967 - cover edge chipped, VG $10. ALIAS JAMES BOND – THE LIFE OF IAN FLEMING - Bantam N3480, 1967. MILDRED PIERCE – Bantam S3553, 1967. In 1973, Bantam Q8310 reprinted this with the cover art flipped and reduced. THE DISENCHANTED – Bantam N3591, 1968. - VG $30. THE ALASKAN – Bantam N3620, 1968. When THE ALASKAN was reprinted as Bantam X2720 in 1976, the art was flipped and enlarged. And I think bigger is always better when it comes to Bama covers. GETTING STRAIGHT – Bantam S3684, 1968. PLEASE DON’T TALK TO ME, I’M IN TRAINING – Bantam H3655, 1968. Bantam experimented with their bestselling “Bama White Bantam” look in 1968 with two covers using a red background. THE THING OF IT IS… - Bantam S3706, 1968. THE CROWN – Bantam N3735, 1968. TURN ME ON! – Bantam S4360, 1969. Cropped by the art department. The entire painting, halo and all, is on the back cover. GROUPIE – Bantam N5244, 1970. THE HELLER – Bantam S5336, 1970. The second of two Bama covers. F2610 is shown above. Remarkably, this was the ninth printing Bantam did of THE HELLER. The first was in 1949. That same cover blurb about growing up too fast was on Bantam 724, the first paperback. (There were four printings, then a “New Bantam Edition” in 1958. Bantam called this the 5th printing of that edition.) The story resonated with 50s and 60s audiences too and Bantam sold over a million copies of this book. THE RING – Bantam N5402, 1970. THE DEVIL WALKS ON WATER –Bantam N5425, 1970. PLAY IT AS IT LAYS – Bantam Q6699, 1972. THE KILLERS – Bantam Q7752, 1974. After Bama stopped painting book covers for Bantam in 1972, they used a couple of his fine art paintings for “new” Bama paperback cover art. The book is a reprint of a 1955 Bantam. The cover is one of the paintings in THE WESTERN ART OF JAMES BAMA. One of Bama’s last covers at Bantam was for MALCOLM by James Purdy. This rarely-seen cover art is like a “Bama White Bantam” but with a twist: the all-black background Compare this toAvon T-465to see a different artist’s cover for the same book. FAIR GAME, Dell 2461, 1964. Dell wanted Bama, but at first their art department didn’t get how to recreate his natural artistic genius on a paperback. And I can prove it: here’s their tiny art for FAIR GAME on a blah Dell cover, laid out all wrong with more text than art. Below is Bama’s original art from the book JAMES BAMA: AMERICAN REALIST. That should have made a great cover. ALL THE COMFORTS, Dell 0079, 1968. ANGEL LOVES NOBODY, Dell 0168, 1968. Personally I think Dell’s art department robbed the world of another classic Bama cover when they took his painting for GO TO THE WIDOW-MAKER (Dell 2942, 1968), cropped it and surrounded it with too much too-large text. Thanks to our friends online at Comic Art Fans, we can now see the original idea. The cover should have been this painting, all of it, filling the entire space. In small letters across the blank at the top: GO TO THE WIDOW-MAKER James Jones. Quote on the back. THE KLANSMAN – Dell 4590, 1968. THE LIEUTENANT – Dell 4779, 1968. THE PRACTICE – Dell 7081, 1968. SEVENTH AVENUE – Dell 7810, 1968. Bama used himself and his wife Lynne as the models for this cover. THE WOMAN OF ROME – Dell 9656, 1968. THE DEAL – Dell 1757, 1969. HANG-UP – Dell 3437, 1969. Dell gets it right. THE MADONNA COMPLEX – Dell 5135, 1969. THE MANOR – Dell 5274, 1969. THE MOVIE MAKER, Dell 5866, 1969. STOP-TIME – Dell 8211, 1969. A Bantam-level quality of excellence. Australian Corgi edition of KIOWA TRAIL with model Lynne Bama. Lynne’s other modeling jobs for her husband include COUNTDOWN FOR CINDY, SEVENTH AVENUE and THE FIRES OF BRIMSTONE. In the UK, THE GOOD AND BAD WEATHER was retitled THE DEVIL’S SUMMER, and Bama’s art for the book was re-used for the Corgi paperback. Corgi re-used Bama’s Bantam cover art for THE TEMPLE OF GOLD. Bama’s cover art for THE TOWER OF BABEL (Dell 8983, 1969) was re-used, expanded and re-formatted for the German paperback DIE REBELLIN VON BAGDAD. Bama, James THE WESTERN ART OF JAMES BAMA - $20., Peacock Press, Bantam Books, New York, 1975. Introduction by Ian Ballantine. 45 full-page reproductions. Softcover. Revised Enlarged Edition, 1980. 52 full-page reproductions. Softcover. - $20. New York, 1993. Hardcover. - $20. JAMES BAMA: SKETCHBOOK, Flesk Publications, Santa Cruz CA, 2010. Softcover. PERSONAL WORKS, Flesk Publications, Santa Cruz CA, 2012. Hardcover. Holland, RC & Elwanda, eds, “Books Are Everything” #11 (Vol 2, No 5), 1989. Seminal Bama issue included articles by Rodney Schroeter and Link Hullar, and the first Bama Checklist by Schroeter, an invaluable tool for me as I attempted to update his trailblazing research for the 21st century. RC Holland, who died in 2017, was a great source of vintage paperback knowledge, a true friend and an inspiration to many of us. Cover art from SALAMBO (Berkley S1180). Kane, Brian M., JAMES BAMA – AMERICAN REALIST - $75., Flesk Publications, Santa Cruz CA, 2006. With introduction by Harlan Ellison & foreword by Bantam Art Director Len Leone. Big hardcover overview with 160 pages of paintings, magazine illustrations, model kits and paperback covers richly illustrating Bama’s genius. Cover art from THE FRIGHTENED CITY. Widen, Larry DOC SAVAGE: ARCH ENEMY OF EVIL, Apple Core Publishing, Milwaukee WI, 2006. Cover art from THE MAN OF BRONZE. Throughout my years of collecting Bama books I have been fooled by lookalike Bama-style covers by other artists. But I’m not suggesting that the artists shown here were just copycats. All but one uncredited cover turn out to be created by legitimate artists with a great body of work. But commercial paperback artists accept assignments, and there can be no question that in the late 1960s the word went out: “make this cover look like a Bama”. My theory is James Bama’s influence is found in each of these book covers. THE BIG LAUGH by O’Hara – Bantam Q5781, 1970. The artist signature is so tiny I had to magnify it to discover this is by Tom Miller. Large piece of back cover clipped off, good $3. HEAVY NUMBER by Jack Thomas – Bantam T2340, 1976. After Bama’s success with two Jack Thomas books – TURN ME ON! & “REDS” – Bantam continued issuing his books in the same style. But the rest came out after Bama had left Bantam in 1972. Here is one uncredited example. This is not Bama, but that first glance fooled me when I was a young collector. THE OPERATING THEATER by Brome, Dell 6712, 1969. This not only reminds us of a Bama, it reminds us of a specific Bama, THE PRACTICE, 1968, where a doctor is helping a woman out of her hospital gown. This time it is a woman doctor being helped out of her scrubs, and it’s not a Bama. The artist is Sol Kolby. VG $5. There are many imitation Bamas to choose from. PRETTY MAIDS ALL IN A ROW by Pollini, Dell 7095, 1969. The first time I saw this book I said “Nice Bama”, but the back cover credit reveals this is by Victor Livoti (1923-2009), a marvelous, under-rated illustrator who painted many paperback covers. Livoti had his own style, but could also paint like Bama when the assignment called for it. QUEENIE by Calisher, Dell 7205, 1972. This is also by Victor Livoti. When the original art was sold at auction we saw that Livoti had painted a pop art background, but Dell would have none of that. They wanted the all-white background just like a Bama cover. These Livoti covers remind me of Bama’s barefoot models on TURN ME ON!, THE RING, THE DEVIL WALKS ON WATER, HANG-UP etc. WITH SHUDDERING FALL by Oates, Fawcett Crest M1507, 1971. With Bantam and Dell’s Bamas selling like crazy, Fawcett wanted in too. They enlisted their new staff artist Tom Miller to paint like Bama and he came through, right down to the super realism, pastel shadowing and blank white background. You can see Tom Miller’s other Bama-style Fawcett Crests such as THE MOONLIGHTER, CLAUDELLE INGLISH, THE BLACK PRINCE, JEDCROW and THE STORY OF RUTH on my Tom Miller checklistelsewhere on this site. THE MAN WHO TAMED DODGE by Ketchum, Lancer 73-846, 1969. The second printing of CABOT #1 has a new Bama-style cover, but look again. That signature is much like Bama’s but when you magnify it, it says Stivers. You can see more of his Western art at Don Stivers.com. VG $5. This is the Magnum edition, identical to the Lancer. CABOT by Ketchum, Lancer 73-815, 1969 is signed by Peter Caras. Is it any surprise to learn that Caras was instructed at the Art Students League by Frank Reilly and James Bama? Ink mark, Good $5. Although not numbered this is CABOT #4. CABOT #3 is uncredited, but CABOT #2 is by an artist who never needed to imitate anyone else because her own style was so powerful: Elaine Duillo. THE GREY HORSE LEGACY – by Hunt, Bantam N4714, 1969. Cover art by Roger Kastel. I can’t count how many times I have seen Bama credited for Kastel’s work, including Doc Savage. Roger Kastel is always the first to tell about Bama’s influence on his work. Kastel went on to develop a clean clear style all his own. It can be like Bama at times, but it is finally all Kastel. See THE TEASE by Gil Brewer for a classic Kastel paperback cover. He is probably best known for his movie poster for JAWS. ONLY LOVERS LEFT ALIVE by Wallis, Bantam S5470, 1970. Did I mention a lot of collectors have confused Kastel and Bama? I’m one of them. Learning that Bama did a Bantam cover for this book, I bought this beauty and put it on my Bama shelf. But Bama did the previous Bantam edition of this title. This magnificent 1970 cover art is by Roger Kastel. And now I know, thanks to James Nobel. Confirmed by RogerKastel.com, a recommended website. My wife Rachel and I bought this James Bama First National Exhibition Poster at an antique store in Lake Elsinore CA. It’s from the Southwest Arts Foundation in Houston in 1982. Bama’s painting is “Butch Kelly, Bronc Rider”, 1976. I’ve never seen another one of these anywhere, including online. Southwest Art used the same painting as a magazine cover in 1980. For Sale framed $200.